Burntisland Shipyard 0 Colville Park 7, 12/08/2017. The Recreation Ground, Scottish Cup First Preliminary Round. 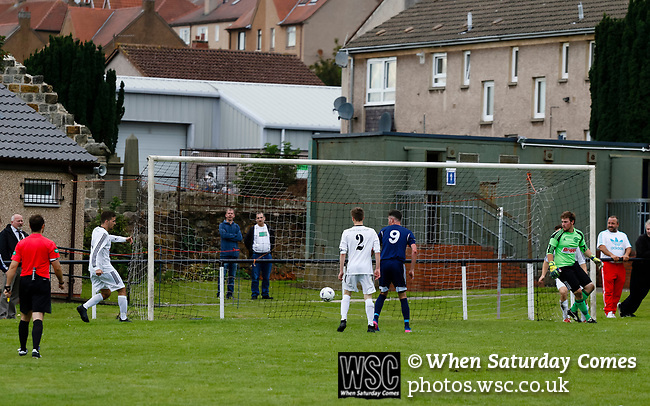 Ryan O'Donnell of Burntisland and Paul McLaughlin of Colville Park watch as the ball flies across the Burntisland six yard box before going out for a goal kick. Photo by Paul Thompson.